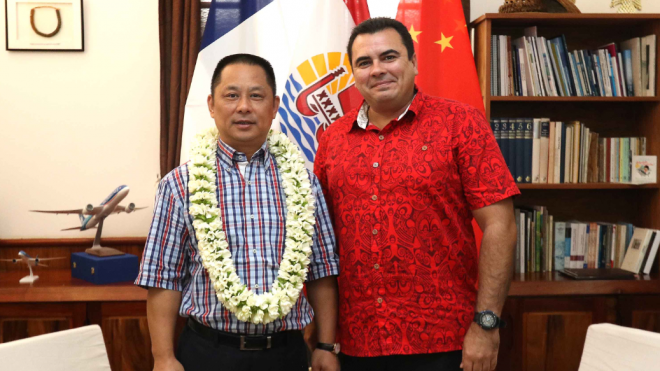 The French Polynesian vice-president Teva Rohfritsch met with Wang Cheng, who is the head of the company Tahiti Nui Ocean Foods. The project has been approved by the China Development Bank, and will cost $US320 million. They also addressed environmental issues posed by the aquacole project.